"Episcopal residence in Hebei, Anguo"
Episcopal residence with its tower and statue of the Virgin Mary on top. 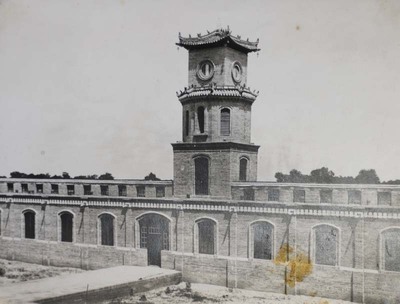 Episcopal residence in Hebei, Anguo. ca. 1931. Société des Auxiliaires des Missions (SAM) China Photograph Collection, Whitworth University Library, Spokane.